Simple step down a steep incline. 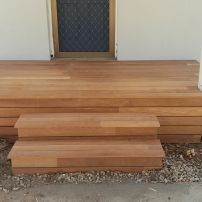 commented on "Double Sided Steps"
This double sided steps and landinf has been constructed using Merbau decking boards and Treated Pine substructure, posts and rails. 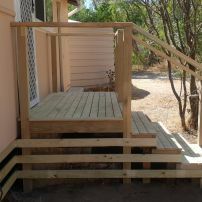 Landing and steps at front door. 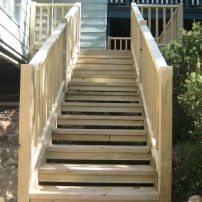 Large steps from back yard to pool deck. 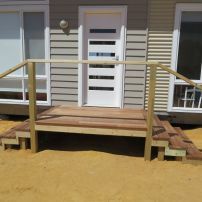 commented on "Small Set Of Steps"
Small set of steps leading to pool deck. 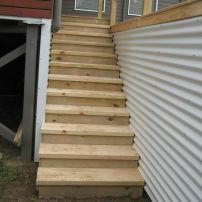 These steps lead to a landing at the front door. 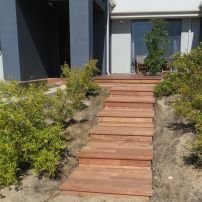 commented on "Steps and Landing"